Wow this is yet again proof of what I think I may have said before, Christie Barlow is getting better and better with every single book. This was superb, I was hooked instantly, desperate to know what the big secret was that meant that Alice and her mum moved suddenly to New York,13 years ago, and why Alice hadn't seen her beloved Grandie in that time. And when you do get to the reveal, lets just say I didn't see that coming, although it makes complete and utter sense. 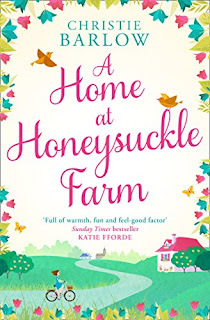 Before that though there are many other secrets to unravel, an emotional homecoming for Alice, and an offer that could lead to her changing her life for the better. Oh and lets not forget a simply gorgeous guy, if the rest of the small community can get past something that happened before Alice was even born. 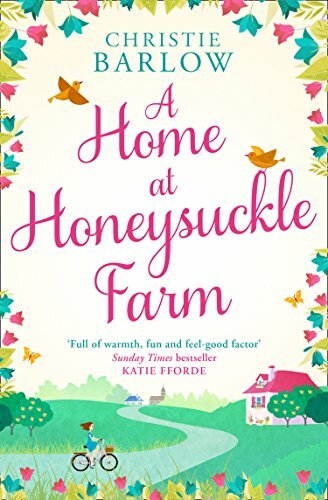 Although this is all about Honeysuckle Farm as a sense of home, this is not a book set on a farm as such, more around Alice's love of dance and theatre, and with a chance to right some wrongs, and reboot her own life, I loved seeing what the author had in store for Alice next. At various times when I was reading this I felt as though I was on the verge of tears, and by the end I had shivers and goosebumps with the mosts wonderful finale. I loved every second of this book, and just wish I could take a time machine to transport me back to the start of the book again, so that I can discover its greatness again for the first time!